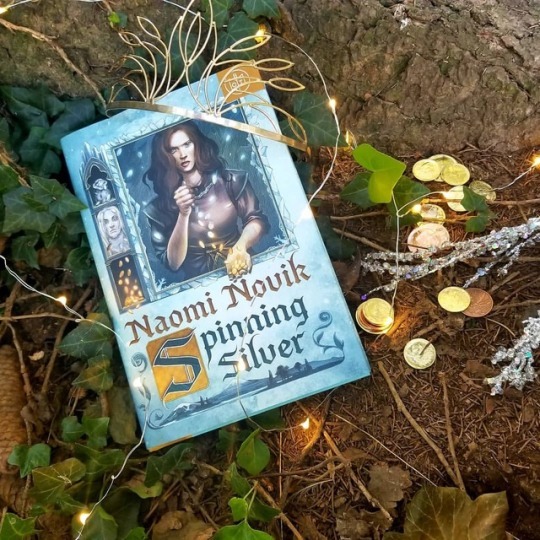 Spinning Silver is a creative and enchanting re-imagining of the Rumpelstiltskin story. I really wanted to enjoy this book as much as it seems everyone else does; I definitely understand the appeal, but there were some things that simply didn’t work for me. Primarily, Novik is wrestling with what felt like too many POV characters; not all of these perspectives felt necessary. Miryem (the moneylender’s daughter), Wanda (a girl hired by Miryem’s family to work off her father’s debt), and Irina (the daughter of a duke) are the primary POV characters. Once Novik veers away from these perspectives, the story seems less engaging. That being said, there was a lot to like about this book as well. First and foremost, Spinning Silver features numerous strong female characters, with agency and nuance. Miryem was arguably the best developed and most sympathetic of the three. She takes on the duty of collecting her father’s debts of her own accord, because her father can’t or won’t do so. To prevent her family from starving, she feels she must make herself cold and somewhat unfeeling; she cannot accept excuses from her father’s debtors, or suddenly everyone will have excuses, and Miryem won’t have money to buy food to help her sick mother get well again. This is only the beginning of her troubles, and as the story progresses, she finds herself victim to the mysterious Staryk King, who rules the fey-like race that wreaks havoc of Miryem’s world. Novik’s mythology is interesting; she draws on the folklore around Rumpelstiltskin for inspiration, but she weaves a whole new world around it. The result is a pretty balanced mixture of the comfortable and the strange. Spinning Silver may be an excellent choice for fans of The Name of the Wind, by Patrick Rothfuss of American Gods, by Neil Gaiman. Thank you for reading! How do you feel about fairy tale retellings? Have you read any that you felt improved upon the original inspiration? Discuss in the comments!